This is a longform essay about reading, inspired by Ulin’s son’s struggles to read and annotate The Great Gatsby (for school, naturally). Over its course, Ulin ranges widely over his own book-reviewing career; his relationship with his son; the reading habits of the author and others (including many other writers); studies of brain science and distraction patterns; politics and current events; the nature of memory (in memoir, in Ulin’s personal observation, and in scientific studies); e-readers; and much more. 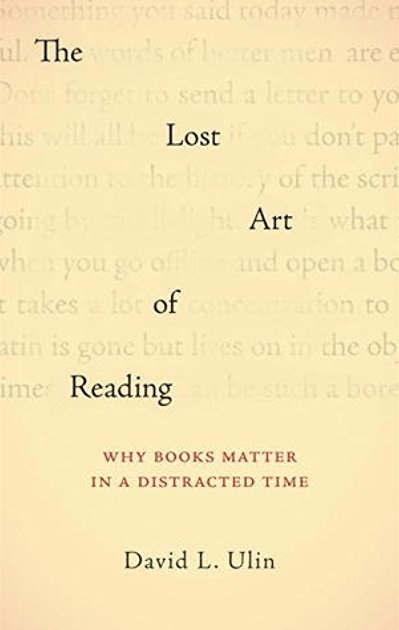 Though it was assigned to me as a craft book–meaning an instructive book about craft–I found an interesting element in Ulin’s own writing: his use of parenthetical quotations from other writers.